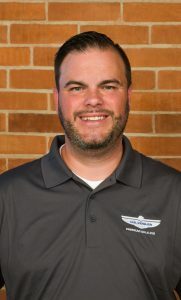 Quincy, IL, July, 23, 2018 – Michael Kendrick has been named Regional Sales Manager for U.S. Cooler’s Mid-East Territory, which includes the states of Indiana, Kentucky, Michigan, Ohio and Tennessee. Kendrick is from Cincinnati, OH and brings with him many years of sales experience, most recently in the building industry. This experience, along with his energy and professionalism, will lend itself well toward serving U.S. Cooler’s customer base. Our goal is to provide you with the best customer service possible and we believe Michael with help facilitate a great experience working with U.S. Cooler. For additional information on Kendrick Named Mid-East Regional Sales Manager, contact Kaitie Herbranson or visit www.uscooler.com.